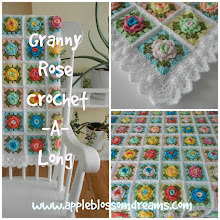 As we are heading into the last stretch of the "Granny Rose Crochet-A-Long", this Tuesday, the NVO has insisted that he tell his side of the story of where the granny rose pattern came from. This is one of his favorite stories, and for him to take the time to write this down and email it to me is just outright endearing!!! Astri and I were visiting our “Little-Bug” one evening where she lived with a few other college girls. Over the back of the sofa was “the afghan.” Apparently it was made by an old blind nun at some secluded convent about 80 years ago, and found its way into Kristen’s family. Astri asked if it would be okay if she took it home to “inspect” it and see if she could figure out the pattern. Kristen agreed, as long as Astri brought it back within the next 24 hours. Okay, close your eyes and imagine this…no, wait…then you won’t be able to read this and I’m not putting it in audio form. Anyway, Astri is sitting on the sofa closely inspecting one of the granny squares of this 80 year old afghan; I am sitting in a separate chair reading something (Kierkegaard I think, or maybe it was the Sunday comics), and the bug is at the other end of the sofa. After about 20 minutes I look up from my reading material and see Astri with a big pile of yarn next to her as she is stripping one of the granny squares clear down to sheep the yarn came from! Not once…but twice! 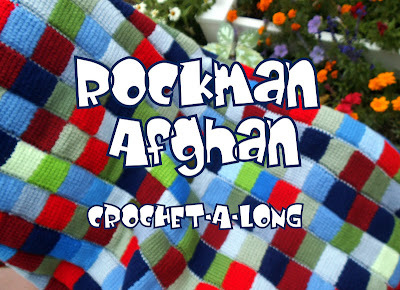 Now there is an 80 year old afghan on the sofa, minus two granny squares! My first words were the enlightened “Holy Crap! Kristen is gonna freak!” This is where I learned another lesson on trusting my girl. Fortunately she was able to get the pattern figured out before she took the entire afghan apart. However, now she had the task of crocheting it back from the pattern she wrote down using only the EXACT amount of yarn that she stripped. 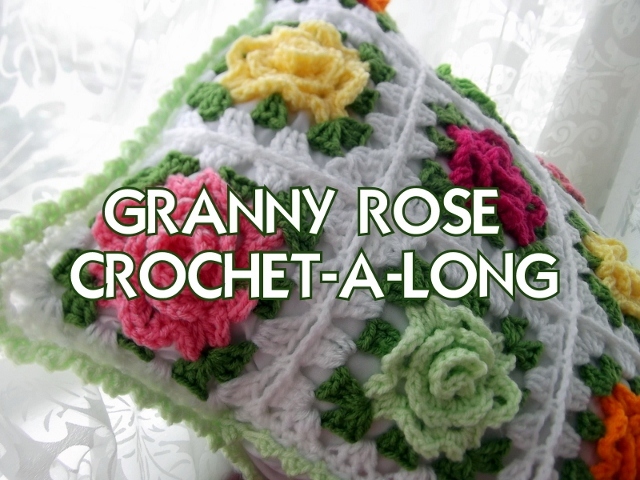 It took her numerous attempts to recreate the rose without running out of yarn or having any left over. Don’t let her tell you she was calm as a cucumber. More than once I know I saw her wipe a drop of sweat from the tip of her nose in quiet desperation. But she got it back together, with no-one being the wiser, unless Kristen reads this. So now you know what Astri and the rest of us went through so YOU could participate in this CAL. Wow...what an interesting story....thanks for sharing it! I can really picture the scene! Well, I'm delighted Astri noticed the 80 year old afghan and decided to take it apart to discover the pattern! It's a fabulous pattern and I feel privileged to have been able to make a cushion with it - Astri's tutorials and videos have been awesome.....I've learned so much from them. That's wild! Glad you were able to figure it out. I do this too sometimes, but not often with others belongings. Great story! I love figuring out patterns too. It's a kind of challenge. I recently spent most of a weekend decoding a block from pictures that MeMeRose had posted on her blog. It was a ton of fun, and I learned how to make popcorns in the process. How very conscientious of you to put your blocks back together with the exact same tension used originally. I'm afraid I would have snipped off any extra yarn and been done with it, as long as it looked all right. Belle histoire et belle leçon de patience, félicitations !! This is a wonderful story!! Im sure the nun would be tickled and pleased to know that her afghan & one very determined crocheter has inspired so many people. Its not often that we get to bring a pattern from the past into modern day life and have so many people love it. There are probably many gifts to be in progress so the blessings and acts of kindness just keep getting passed on. What a nice comment. You are welcome and I hope it brings you joy!